Inventing Tomorrow, Laura Nix’s uplifting documentary about teenage scientists competing at the Intel ISEF (the science fair to end all science fairs), is a much-needed antidote to the cynicism that seems to be increasingly present everywhere we look. 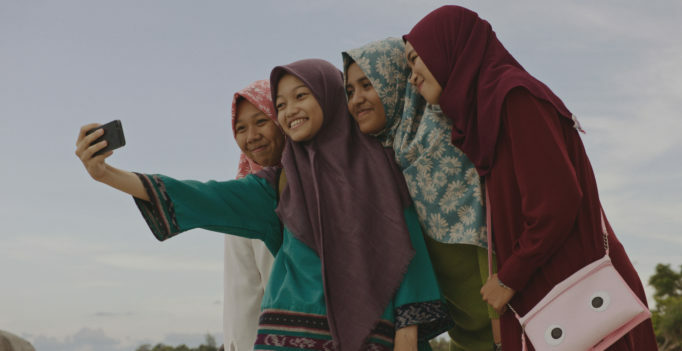 The film follows four teams on their journey to the competition in Los Angeles: a young woman from an Indonesian island who has developed a filter to reduce the harmful by-products of tin mining, a Hawaiian studying the distribution of arsenic after a tsunami, an Indian student with an interest in testing the contamination levels of her local lakes, and a team of teenagers from Mexico who have invented a paint that will help to clean the air of dangerous pollutants. But what makes Inventing Tomorrow so engaging isn’t the inventions themselves, despite how impressive they are or the young age of their creators. It is the passion and connection to the environment that led each of the inventors to their project. While the image of science presented by popular culture is often one of a lone genius cooped up in a lab, like Frankenstein while he was creating his monster, Nix’s film demonstrates that science is far from a solo-activity. The reality of science is that it is collaborative and connected; throughout the film, the young researchers find energy and inspiration from fellow scientists, their families, their communities, and the natural world around them. Inventing Tomorrow goes beyond showcasing the teen’s inventions. Through intimate, often beautiful (and sometimes even brutal) cinematography, the film presents a picture of these young scientist’s lives. From their neighbourhoods and bedrooms, to goofy moments with friends, Nix never lets her audience forget the youth and optimism of her subjects. A perfect balance has been struck between the seriousness of the global environmental crisis and the belief that solutions are still possible. There is a hope in this film that is often missing from documentaries about the environment, especially those that emphasize the dire state that the planet is in thanks to global warming that has resulted from industrial activity. Inventing Tomorrow reminds us that human beings are capable of great innovation, as well as great destruction.